The Maasai pastoral life and culture of dignity, strength and survival skills in harsh conditions is well known and respected all over the world. 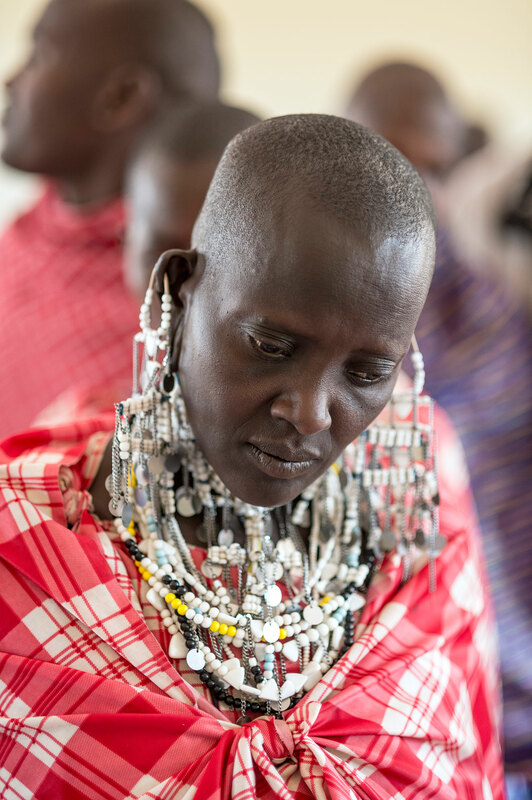 For many decades, the Maasai people have lost access to water and to land, impoverishing those living the pastoral life. About 1000 corporations have used the Maasai imagery and culture to promote their products because associating a consumer product with the Maasai increases sales. In 2009, a group of elders and leaders decided to build unity among the Maasai people to take power over the cultural brand. Isaac ole Tialolo is Chairman of the Maasai IP Initiative Trust Ltd (MIPI). Isaac asked Light Years IP to help MIPI carry out the entire project in a strong collaborative relationship over the last 6 years. 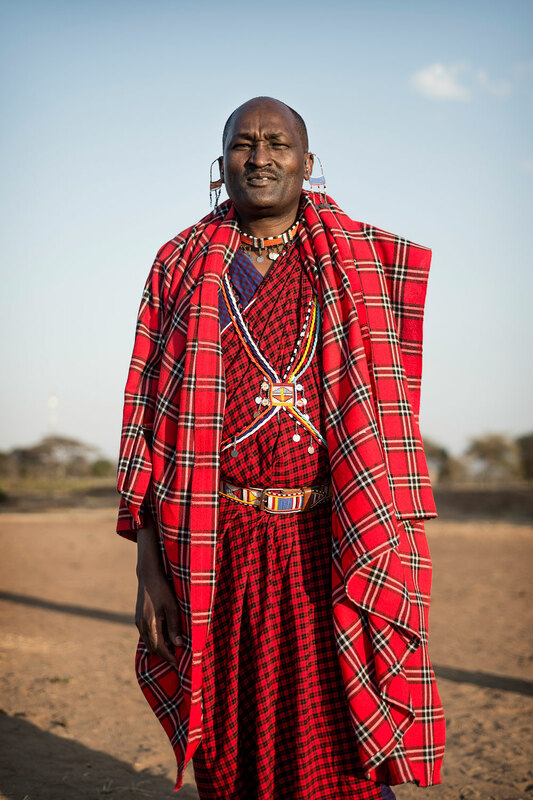 Since 2009, Isaac has steadfastly built consensus among the traditional elders and leaders of the Maasai community, like the two elders looking at Louis Vuitton clothing. 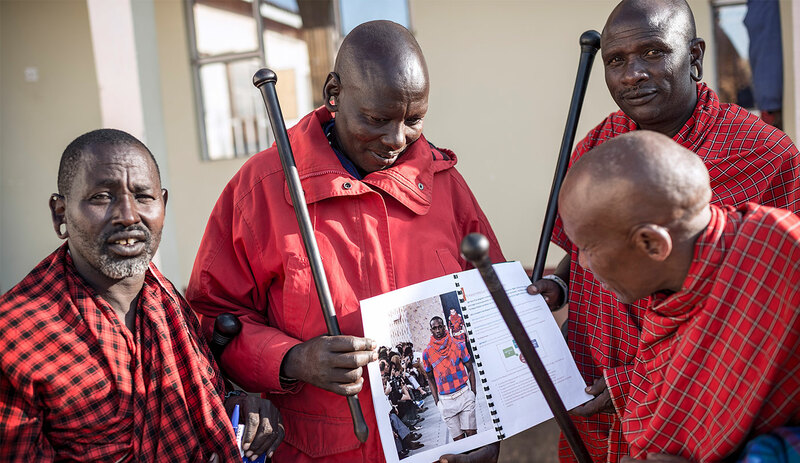 Disrupting the power of corporations and taking power into the hands of 2 million pastoralists, the Maasai are taking control of their cultural brand and creating a clear and professional process for commercial users to apply for licenses. MIPI has recovered trademarks from a major corporation that is itself a global brand. The representative General Assembly has the authority of the decision-makers in the Maasai culture. Respect is the most important goal of the General Assembly of MIPI. Next actions are to secure licensing revenue to support the Maasai community in health, education and in buying back water rights and rights to grazing land to sustain the culture. The cultural brand will provide benefits to the Maasai people permanently. 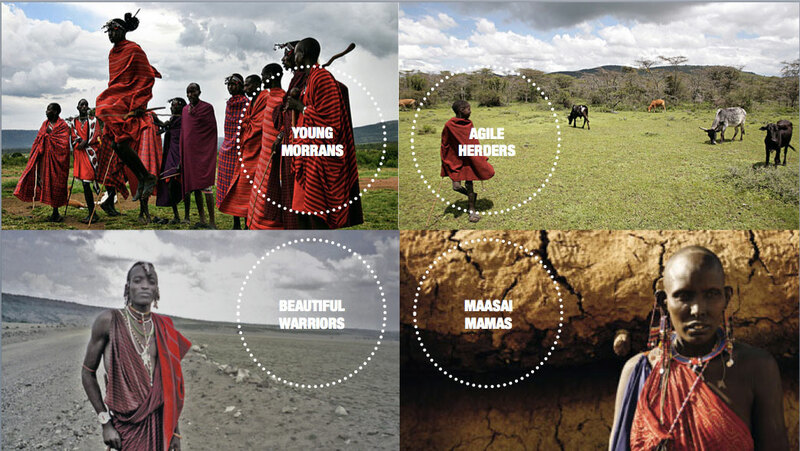 These four quadrants illustrate four of the qualities of the Maasai people that have proven commercially valuable to businesses. The graphic is an extract from the licensing package for future companies willing to respect the Maasai by seeking their approval for a license. HOW CAN I HELP THE MAASAI? 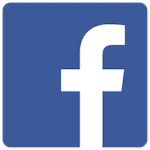 Send your message of emotional support to mipi@lightyearsip.net, which will be translated and passed to the General Assembly. Support the Maasai publicly recover their cultural brand. Help fund Isaac broadcasting to rural Maasai in Tanzania and Kenya to ensure full inclusion.